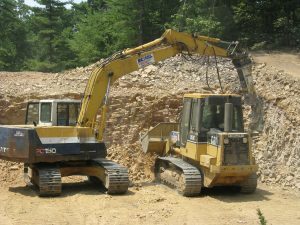 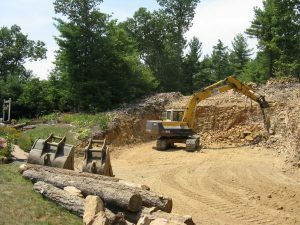 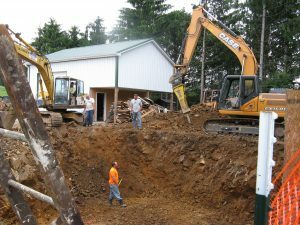 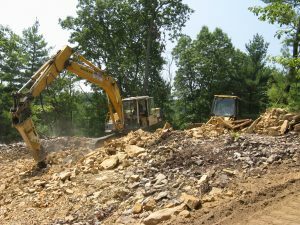 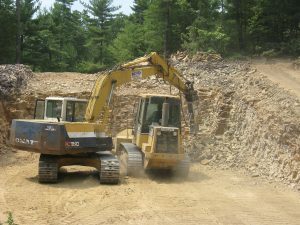 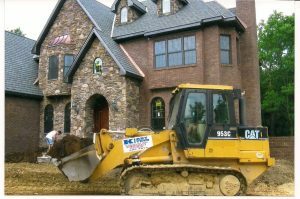 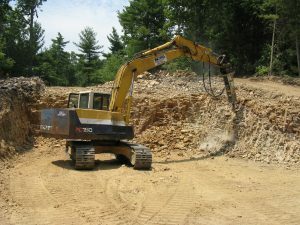 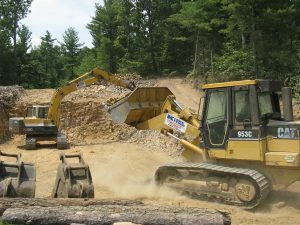 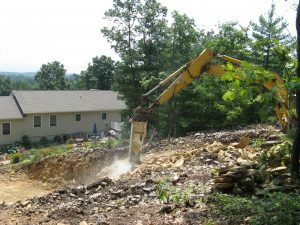 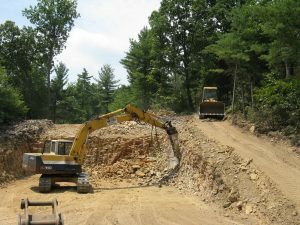 Excavation is a critical step needed before laying a foundation or basement. 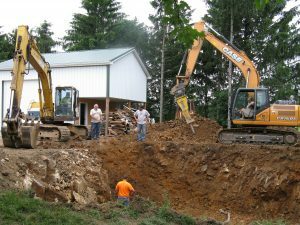 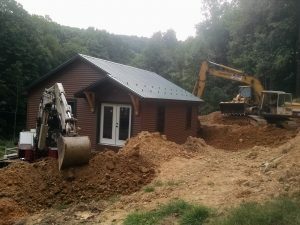 The excavation is also important for the installation of plumbing and electric. 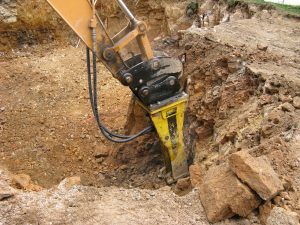 The ground must be stable and properly graded to allow the water to drain away from the footers. 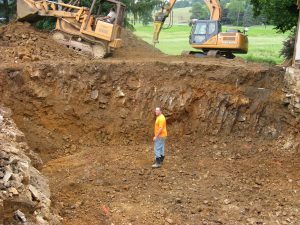 Foundation cave-ins can be a disaster and something a homeowner wants to avoid. 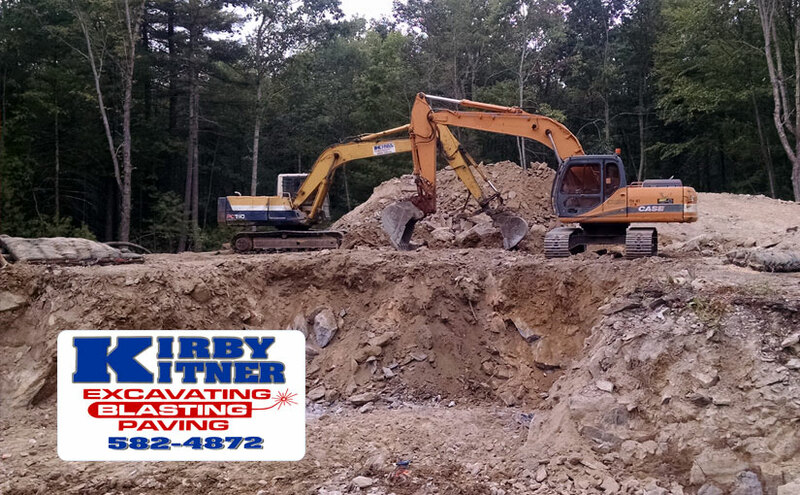 Kirby Kitner can assess the topsoil, subterranean soil, rock structures, frost line and water table on the building site. 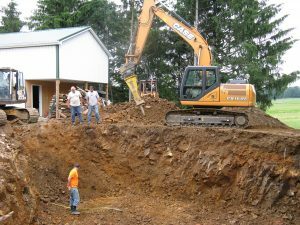 He can also evaluate the placement of the foundation, septic system, well for water and driveways to the local building codes. 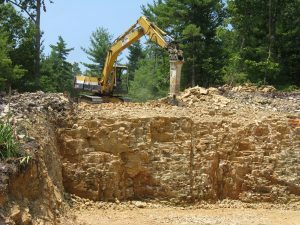 He can prepare the site for a slab construction or a full basement: concrete block wall or poured wall. 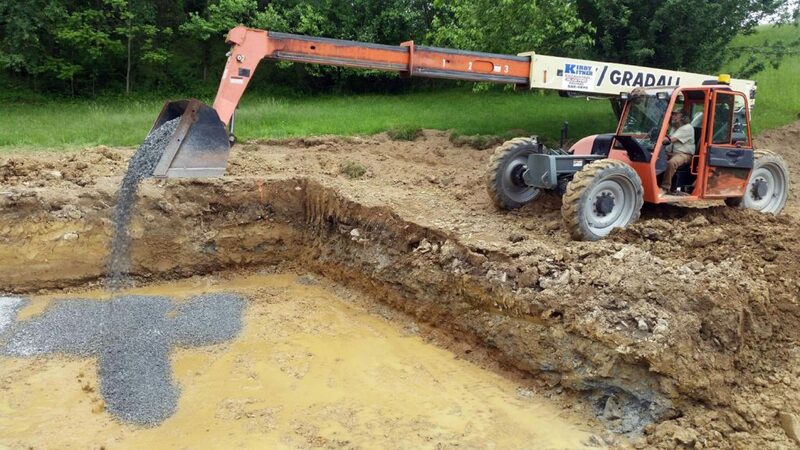 He will consider any sump pump, utility trenches, or drain tiles that may be required. 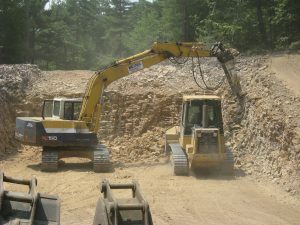 Once the framing and walls are up, back-filling around the walls are necessary. 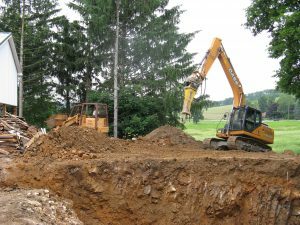 Replacing the topsoil, landscaping, paving, contouring the lawn and/or ponds are concluding steps to the work of an excavator.